I am at a crossroads. Recently I closed my latest project, the Digital Farm Lab — a project that aimed to bring agriculture into the digital age to improve food security. Unfortunately, my team and I encountered too many setbacks, which I wrote about in my last post. As the dust has settled from closing the project, I have begun to see a new path forward that brings together the spirit of the Digital Farm lab with my professional background as an engineer of the built environment. 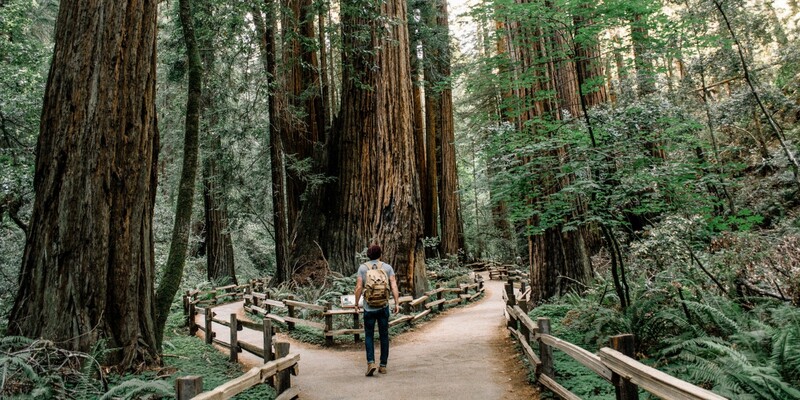 How I found this path I think deserves mention because what inspired it is part of an emerging trend in sustainability and climate action. A trend that may just get us all on the road to solving climate change. Doom and Gloom or Opportunity Boom? The San Francisco Bay Area offers many roads for entrepreneurs. There are roads for those aspiring to start billion-dollar companies. Roads for those who seek a living as a craftsman through the Maker Movement. And there are roads for those who want to use business to achieve beyond making a profit, like defend our climate. In 2017, I found myself on the road to the latter case at a place called Manylabs. Manylabs (Edit: Manylabs recently joined forces with Carbon180 under the Carbon180 name. Congrats!) now focuses on carbon sequestration, such as regenerative agriculture and direct air capture. 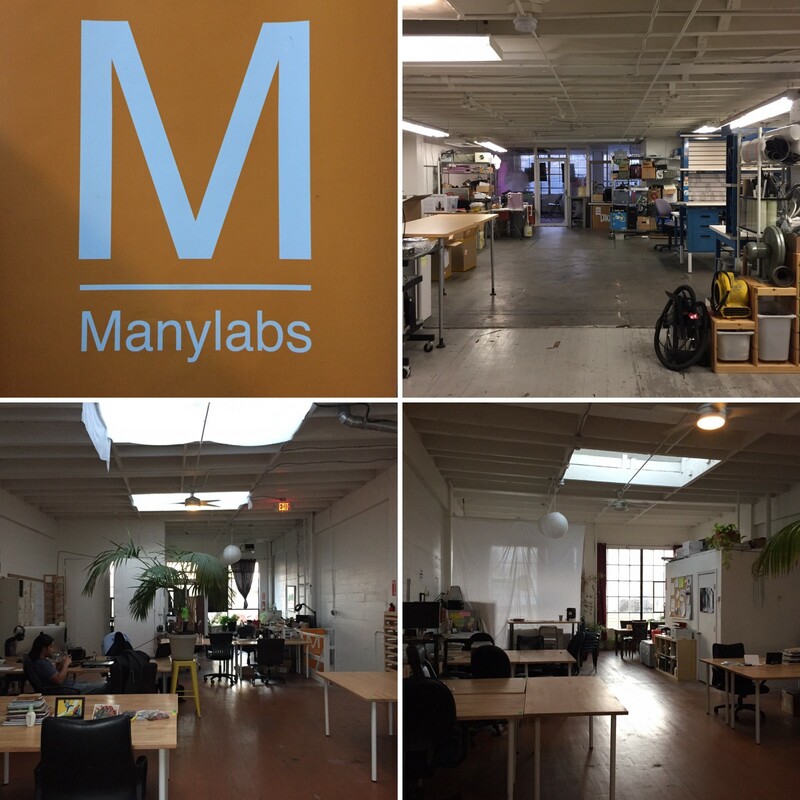 Back in 2017, Manylabs was a coworking incubator for science enthusiasts. Located in San Francisco, it was a mix of science, technology, and entrepreneurship, which was the perfect place for my then-team and I to grow our crowdfunded project, The Digital Farm Lab. At Manylabs I met an inspiring group. They had started their own communities, funded their own projects, and ran their own companies. They had seen first hand what hard work, passion, and a little bit of luck can do. I enthusiastically joined them to work under the banner of “science for good”. Climate change inevitably was a regular conversation there. Would black be the best color for an artificial leaf because it would absorb all light? How can behavioral psychology help spur climate action? Why are bitcoin index graphs more beautiful than atmospheric CO2 graphs? Most importantly, what I took away from my conversations was a new way of viewing the topic. A perspective that, in my opinion, should be more common in our public awareness. Rather than view climate change as “doom and gloom”, people at Manylabs viewed it as the cause for an “opportunity boom”. Yes, we are faced with numerous problems caused by an unpredictable and changing climate. However, the path we have been heading down to address it has not been successful. Describing catastrophic events and far-off consequences is not working. Instead, by viewing this problem as an opportunity to create, innovate, and invent, we can move in a more constructive direction. One book released in that same year called Drawdown — The Most Comprehensive Plan Ever Proposed to Reverse Global Warming supported this constructive spirit of creating solutions. Drawdown describes 100 substantive solutions available right now to mitigate and “drawdown”, or reverse, the effects of global warming. Some solutions you’ve likely heard of, like solar panels, wind turbines, and electric vehicles; others you may not have, like refrigerant management (the Number 1 solution), plant-rich diets, and heat pumps. Drawdown is the playbook to reverse global warming. An entire chapter of the book is dedicated to solutions related to the “Buildings and Cities” sector because of the significant percentage of energy usage, mostly from heating and cooling, urban areas use. Reading through these solutions captivated me to learn more. As an undergraduate student, I studied heating, cooling, and building energy at the Civil, Architectural and Environmental Engineering department at Drexel University through their mechanical engineering concentration. Although I was too young to understand its importance then, Drawdown fortunately impressed upon me the great contribution mechanical engineering can offer to the climate change challenge. 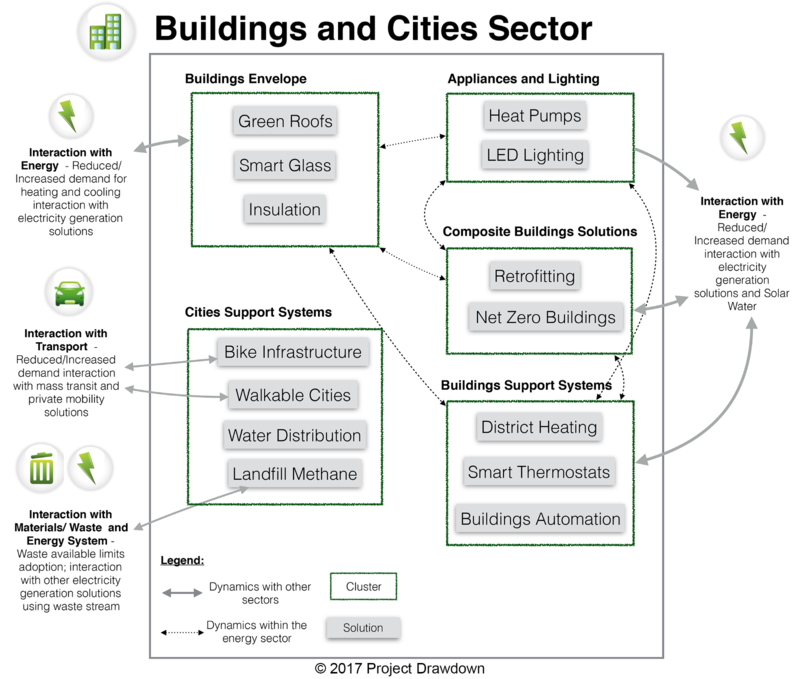 Solutions identified to reverse global warming by the Drawdown project for the Buildings and Cities sector. Many of these relate to mechanical engineering. Working on the Digital Farm Lab set me on a road to defend our climate. I learned a lot about the affects of climate change on our food system and along the way encountered other areas involved, including buildings and cities. As I progressed, however, I realized my lack of technical background in agriculture, made the road too difficult to traverse. Sometimes it does help to be the outsider of an industry, but this was not one of those cases. After closing the project and reflecting on the journey, I now see that the silver lining to working on the Digital Farm Lab was meeting and learning about the community fighting climate change in the San Francisco Bay Area, including Manylabs and Drawdown. Through them I found a reason to return to mechanical engineering and embrace working with buildings and cities, fields that I am better qualified and experienced in than agriculture. It was not all in vain either, the Digital Farm Lab taught me how mechanical engineers help the indoor agriculture industry. They design the heating, ventilation, and air conditioning systems and analyze the energy performance of indoor agriculture facilities. So maybe this is not the end of my work with agriculture, but perhaps a detour. Either way, I am taking a familiar, but new and exciting road deeper into the built environment because I know I can still work fundamentally towards my goal of defending our climate. Having thought through my new direction, I decided to take the Professional Engineering license exam for mechanical engineers specializing in HVAC and Refrigeration in October 2018. I passed. Now, as I wait to hear back about my license application, I must prepare for the road ahead. Do you work on sustainability and mechanical engineering in the built environment? What hard truths have you learned about incorporating these solutions into projects? Leave a comment or send me a message — I would love to hear from you.